Amma always told us eating carrots would help us see better, even in the night. One of her trick was to make carrot halwa. We Secunderabad sisters never complained. We had the halwa with Dosai, chappati, bread, and simply just like that till the last bit. The best combination was with vanilla ice cream. As kids, we peeled and grated the carrots while Amma narated her stories growing up. Hers was a big family and she had lot of interesting stories to share-Such a simple life indeed. 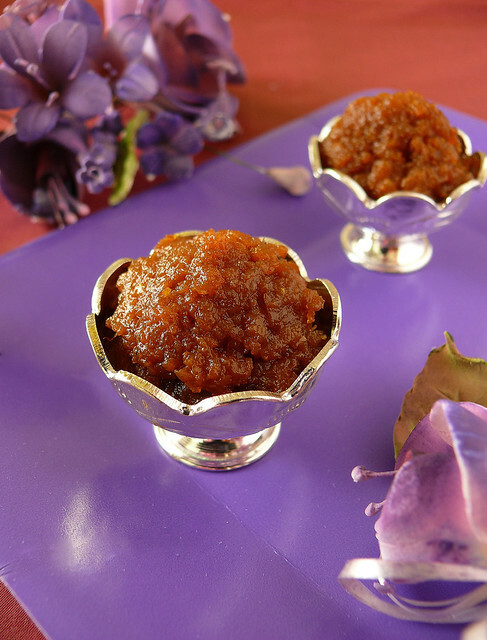 Apart from the peeling and grating, carrot halwa is considerably an easier dessert to make. My version of carrot halwa is adding Kowa/Khoya to it. I made kowa last week and had them in the freezer to make Jamun`s later. I used some of it for the halwa. In a pan heat a tablespoon of ghee/clarified butter and fry the cashew to a light brown color. Keep aside. Add another two tablespoon of ghee in a heavy bottomed vessel or pressure cooker and saute the carrots lightly for few minutes. Cook the carrots with milk to one whistle. When cool open the lid and add the sugar and stir well. When this comes to Halwa consistency, add one tablespoon ghee/clarified butter and mix well. Mix the kowa/khoya, cardamom powder and roasted cashew . Serve with a scoop of Vannila Icecream. I grated the Carrots in a food processor and used homemade Kowa/Khoya. carrot halwa is one wonderful dessert. Looks delicious. I love the last photo. Beautiful. Thanks Neha, Uma and Rupa. I love carrot Halwa too. Carrot halwa is my fav.. nice pic. First time here..Halwa looks yummmmm!! 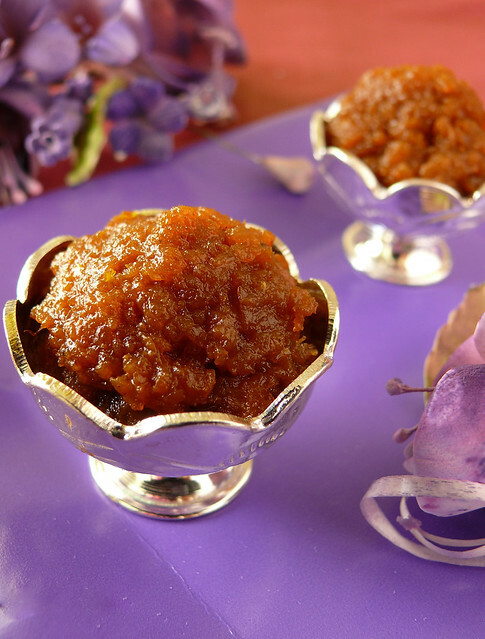 Dhivya Vikram, Ranji, Mansi, Sowmya, Kaykat, Anjali, Ramya, Madhavi,Cham, very glad you all like Carrot halwa. One of my easy and favorite dessert...Thank You.